Can you handle the successor of the all-conquering C-class 500 bhp AMG Mercedes C-Coupé? You'll need determination and courage to turn the track into your playground. But watch out! With so much power you'll need absolute concentration if you don't want to fly off the next bend! A little talent and practice are a necessity. The 1:43 scale Carrera GO!!! 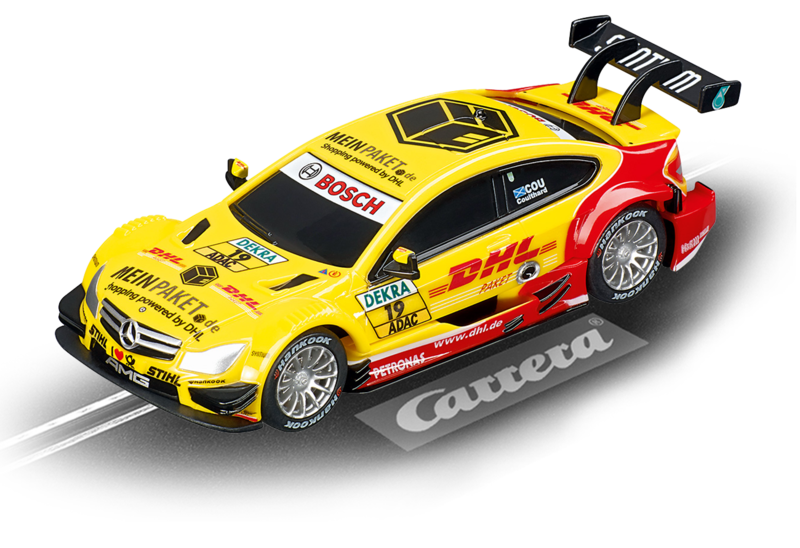 AMG Mercedes C-Coupé DTM No.19 slotcar wins new fans everywhere with top quality authentic details. This racing car provides a perfect introduction to the Carrera racing world for children of 6 years and up.